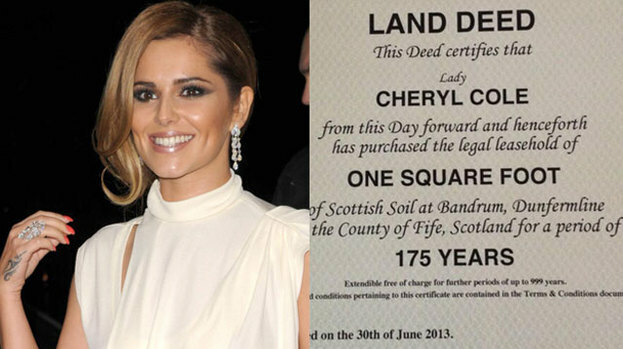 Land Sales Direct Ltd was set up by Laetitia Kelly in 2006. Previously she had been the in business with husband George Watson Kelly and son Basil, running Seksey Limited in Taunton. All very reassuring, except that Blue Square Direct address provided on the scottishlandsales website is simply a front to hide the real location of Land Sales Direct. Blue Square House is an internet based “front” as used by criminals and tax dodgers. They do not give a phone number. They do not provide an email address. Both omissions are red flags. Worse, the alternate PiecesofScotland website has absolutely no contact details. This is unlawful and the Kelly’s risk a tap on their door by the boys in blue. Really very troubling. Who are these scammers? However a quick search on the internet reveals that Laetitia and George Kelly live quite openly at Laurel House, Bishops Hull Road, Bishops Hull, Taunton, Somerset, TA1 5EP, so why does Land Sales Direct hide itself away? Ms Kelly is a respectable Parish Councillor and a trustee of a small local charity called Friends of Quantock. Are they embarrassed not to be Scottish (Laetitia is Dutch). Why hide? Very odd. There is, however, lots to like about the Scottish Land Sales site: it is straightforward, easy to navigate and looks very Scottish. Like Lochaber Highland Estates (reviewed here) Land Sales Direct actually identify the parcel of land which Lairds and Ladies can buy in Fife, and they do this using aerial photography. This looks great and is hugely credible. Also excellent are the pictures of the place, and the views therefrom. Aerial photography and a zoom in from an overview of Scotland lend this site some credibility, though the Bandrum Estate is revealed as a small clump of trees on a lowland farm. Not particularly Lairdly! The fact that Liz and Sandy Dean, (described as the “keepers”), used to identify themselves was very welcome – it personalised the whole experience. So why do they no longer appear? What connection did/do they have to Land Sales Direct? Add to this the presence of the Tower of Bandrum onsite (well, we think it is onsite but are not sure — clarification would be good. And why can you only buy five packs now, when once you could buy as many parcels of land in 5 foot square lots as you liked? They have also had some good press attention, The Daily Record in 2008 and more recently, Simon Cowell splashed out on a pack for Cheryl Cole. Phew, what a tight wad! But for us, there are reservations. The first is that if you if you purchase from Scottish Land Sales, you’ll by buying a 175 year lease. On the one hand this may be a way around the problems described here. On the other it is only yours for 175 years. Why this limit? If you are going to create a lease why not create one for 999 years? Why not just sell it? Doesn’t matter to both purchasers or vendors at all — presuming immortality doesn’t become a reality in the next couple of centuries anyway. But is a tenant of a tiny estate really a Laird? Sounds like a crofter to us. Next is that no mention is made of the current use, or future plan for the property, or the context of their ownership and that of the Lairds. This may not be important to some prospective lairds, but this seems an oversight on the part of the owners. Lastly, we note that Scottish Land Sales acquired the land as a body corporate (or that’s the way it reads) and we are no wiser as to the precise location of the land — one wonders, as a WhoIs query on the domain name reveals only that the domain is registered by Somerset webdesign company, whether the profits from this enterprise remain in Scotland? Confirmation on this would be lovely! These questions aside, this offering is certainly worth considering, and the price, at least, is cheap.